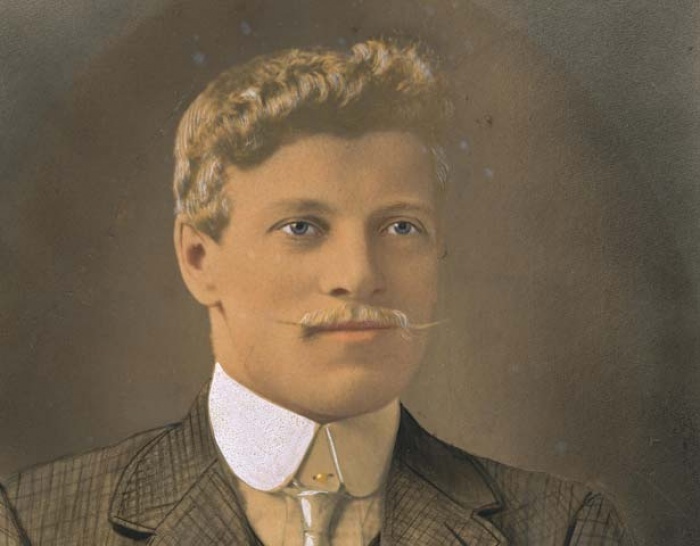 On 12 November 1912, striking-unionist Frederick George Evans was fatally wounded, becoming the first person to die during an industrial dispute in New Zealand. Known as 'Black Tuesday', the event led to the violent end of the Waihi Strike, which had begun six months earlier. Today marks the 106th year since tensions between police, non union workers and striking miners in Waihi erupted in violence on November 12, 1912 - subsequently claiming the life of Fred Evans. By 1908 Waihi was the fastest growing town in ‘Auckland Province’ and had a population three times larger than Hamilton after gold was discovered on Pukewa (now Martha mine), Waihi in 1878 by prospectors John McCombie and Robert Lee. McCombie and Lee left the area after samples they sent to be assayed came back with poor results. William Nicholl took over their claim in 1879, named it Martha and the rest is Waihi's history. Australian born Fred Evans was lured by the gold and came to New Zealand in 1909, working his way into a job as a stationary-engine driver at a Waihi goldmine. He became a member of the Waihi Trade Union of Workers, a militant socialist union opposed to the Waihi Gold Mining Company's methods of operation. Miners in those days would be incredibly envious of the conditions enjoyed by modern day miners. They had many grievances regarding the conditions they worked with and often downed tools and walked off site, particularly after accidents. Broken limbs, falls, being crushed and badly bruised were some of the perils of the job and fatalities occurred from time to time as well. One of the worst work hazards for miners was dust on the lungs. It was known as ‘miner’s complaint’ and it was said anyone starting work in the mines at 16 would be lucky to see their 40th birthday. Back then there was no such thing as Health and Safety, work safe practices or compensation and tensions bubbled under the surface with miners and their families becoming bitter about accidents and deaths. Workers felt the money miners earned for their work was barely enough to feed and clothe their families, while the Waihi Gold Mining Company was seen to be reaping huge profits. In April 1912 a number of stationary engine drivers who rejected the Federation of Labour’s views formed their own breakaway union, which was registered in June. Fred Evans refused to join the breakaway engine drivers, preferring to side with the miners, who demanded the drivers be dismissed. The Waihi Gold Mining Company refused, and the miners downed tools. 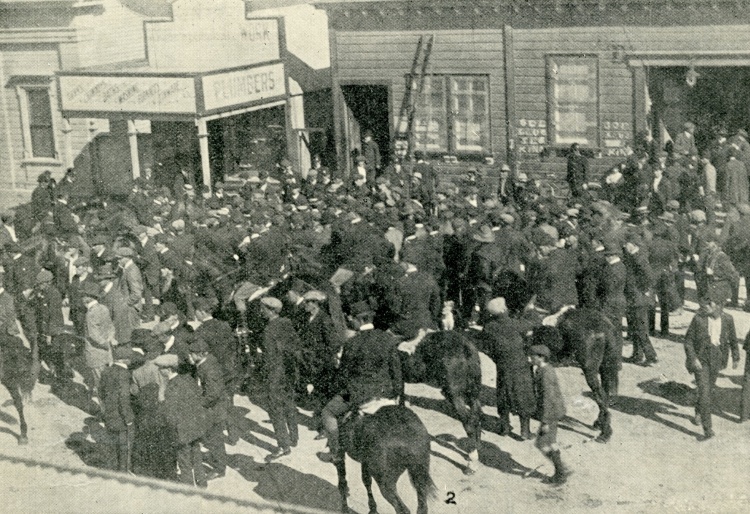 The striking workers believed the mining company was attempting to split the union and went on strike on 13 May. Local Police took a wait and see approach to the strike but Police Commissioner John Cullen reacted swiftly and sent additional Police to Waihi. When William Massey, leader of the conservative Reform Party came to power two months later he declared the striking workers to be “enemies of order” and vowed to instigate a strong response. The police build-up in Waihi continued with men, horses, batons and firearms sent to Waihi until an estimated ten percent of New Zealand's police force was stationed in the area. Anger amongst the striking workers grew when almost 70 of the leading strikers were arrested, including Evans; who was found guilty then discharged. The striking workers' position and disposition was worsened by the threat of operating the mine with ‘scab' labour. In October, the Waihi Gold Mining Company re-opened the mine with non-union workers and the union workers and their families reacted angrily. The new workers were pelted with stones and verbally abused as they were transported to the mines. Tensions between the union and non-union workers kept growing. The striking miners felt the newcomers were taking their livelihoods and were traitors to the working class. The non-union workers needed work to feed their families too and resented the attacks and condemnation. Violence gradually escalated, with union workers on one side and non-union workers and police on the other. The hostility culminated on November 12, remembered now as "Black Tuesday" when a group of armed non-union workers and police attacked the union hall in Seddon Street, which was defended by a small group of union workers (also armed), including Fred Evans who had gone to the hall to stand guard. During a struggle at the door, strike-breaker Thomas Johnston, who had come to Waihi from Auckland after his market garden failed, was shot in the knee. As the unionists fled out the back of the hall, Police Constable Gerald Wade struck Fred Evans down with his baton. Constable Wade was also shot in the stomach but there was conflicting eye witness testimony about when the shot was fired and whether it was Evans who had fired the gun that wounded the police constable. After being struck with the police baton Evans collapsed and was set upon with boots and blows before being taken to police cells where he was left for an hour and a half before being hospitalised. Fred Evans never regained consciousness and died the following day, November 13. The Federation of Labour organised a huge political funeral in Auckland, where thousands of mourners lined the streets paying tribute to Evans as a martyr to their cause. Unionists later raised £1100 to assist Fred's widow May Evans and her children. Fred Evans who had been born on 11 February 1881 in the Australian mining town of Ballarat, Victoria, was buried at Waikaraka cemetery on 17 November. Soon afterwards, the strikers broke ranks, with many fleeing Waihi altogether. They boarded trains bound for Auckland in fear of their lives. Testimonies from strikers living in Waihi at the time talk about gangs of thugs (scabs) and police ordering them to leave town or face dire consequences, including death. An inquest into the death of Fred Evans was opened at Waihi on November 11 with local Coroner, Mr W M Wallnutt presiding over a local jury elected by police officers. It was said the jury did not include a single wage worker, trade unionist or Federalist and that at least one half consisted of members of the so called scab union. Complaints about the Coroners impartiality, the way the inquest was conducted and the witnesses called, fell on deaf ears according to the strikers and their families. Protests were lodged with the government about the process and witnesses testimony being suppressed by police. The Coroner also refused to allow evidence concerning the striking miners and their families being threatened and ordered out of town. Thomas Johnston was not seriously wounded and quickly recovered from his wound. The bullet that hit Constable Wade became embedded between his ribs and hip on his right. Efforts to extract the bullet failed. He resumed general inquiry duties at Mount Cook Police Station on April 12, 1913. At the inquiry into Evans' death, Constable Wade was found to have been ‘fully justified in striking the deceased down’. The strike is said to have contributed to unity in the New Zealand labour movement — the Socialist Party, which had backed the strike, moved towards merger with the more moderate United Labour Party, which had not. The resultant Social Democratic Party later formed the basis of the modern Labour Party. The Waihi Arts Centre & Museum has a wealth of material about the 1912 Waihi Miners Strike. 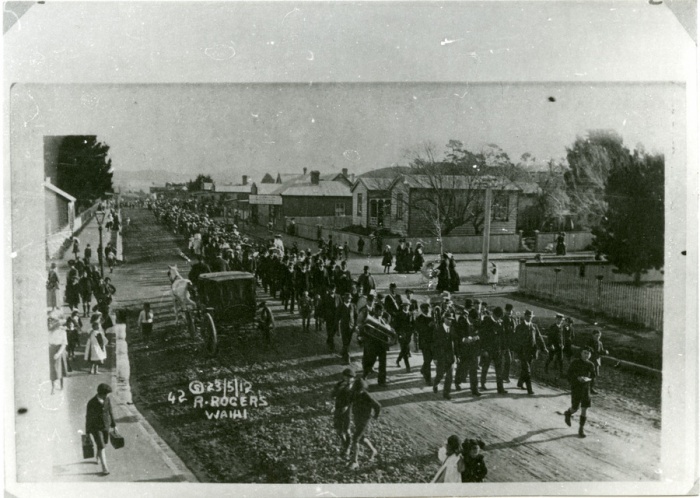 A large march of unionists and their families through Waihi, led by the union band. The scene outside of the Miners' Hall just after it was stormed and Evans was beaten (the Hall is on the right).